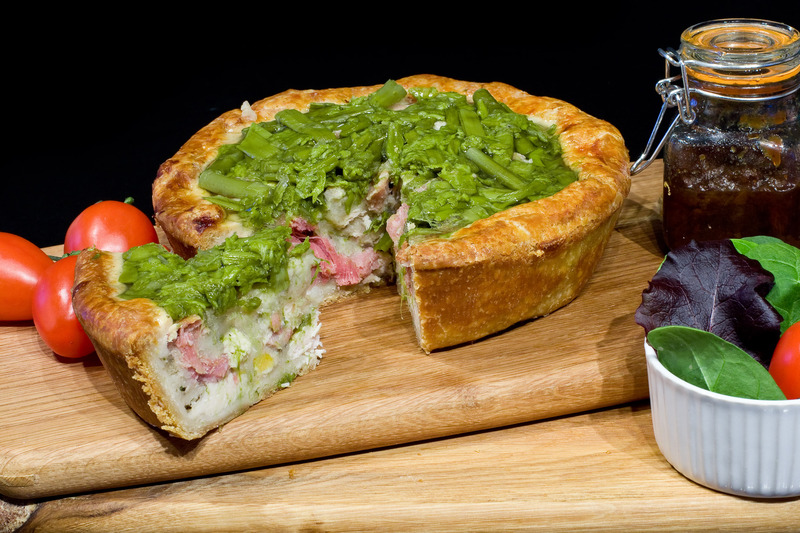 This Great Taste award winning pie contains pieces of tender gammon and chicken breast bound together with an apple and herb stuffing in a hot water pastry, the crust removed and replaced with asparagus spears. 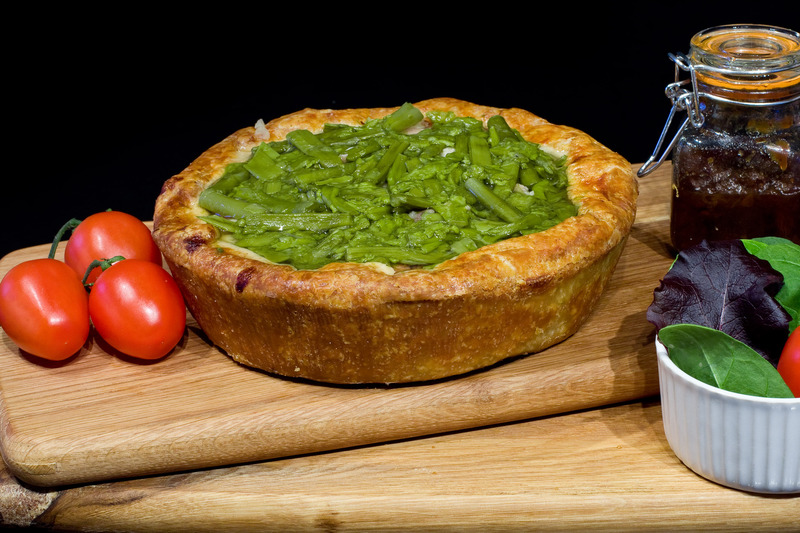 This pie is a cold cutting pie and therefore does not require any heating. Pies can be frozen but we would not recommend this as the quality will not be the same once defrosted.